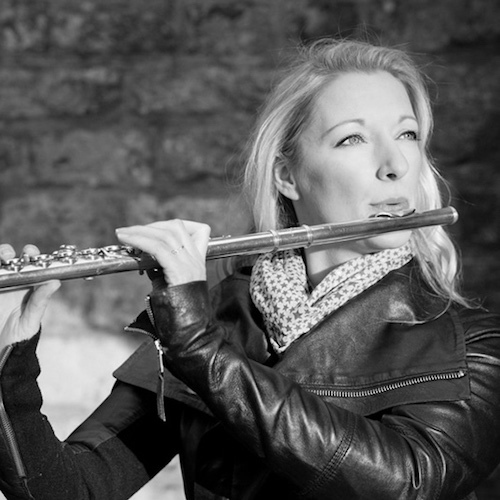 Juliette Bausor, widely recognised as one of Britain’s leading flute players, began her studies with Anna Pope at the junior department of the Royal Academy of Music and Purcell School of Music, before going on to study with Philippa Davies, Paul Edmund Davies and Samuel Coles at the Guildhall School of Music and Drama. She continued her tuition at the Conservatoire Nationale Supérieur de Musique et de Danse in Paris, with Sophie Cherrier and Vincent Lucas. Following international success in competitions, including early recognition in reaching the televised Concerto Final of the BBC Young Musician of the Year and winning the Gold Medal in both the Shell LSO Competition and the Royal Over-Seas League Competition, Juliette has appeared as a concerto soloist with orchestras such as the London Symphony Orchestra, Ulster Orchestra, Academy of St Martins in the Fields, European Union Chamber Orchestra, Royal Northern Sinfonia and London Mozart Players, with conductors including Yannick Nézet-Séguin, Thomas Zehetmair, Mario Venzago and Sir Neville Marriner. Success on an international scale is reflected in tours around Europe and beyond, to Japan, Thailand, Vietnam, the United Arab Emirates, Namibia, Zimbabwe, Australia and New Zealand. In 2014 Juliette Bausor was selected by the European Concert Hall Organisation as an ECHO Rising Star. Juliette has since been invited to perform as a soloist in some of Europe’s most prestigious concert venues, including Laeiszhalle Hamburg, Het Concertgebouw in Amsterdam, the Bozar in Brussels, Town Hall Birmingham, Palace of Arts in Budapest, Vienna Musikverein, Stockholm Konserthus, L’Auditori in Barcelona, Konzerthaus Dortmund, Philharmonie Luxembourg, Sage Gateshead and the Barbican Centre in London. Also highly regarded as a chamber musician, Juliette is a member of the celebrated chamber group Ensemble 360, resident at the Crucible in Sheffield. 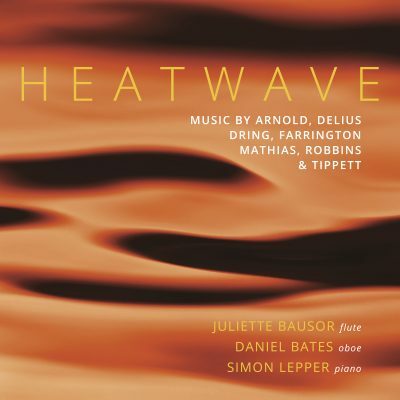 In addition to the Ensemble’s busy concert schedule, Juliette is regularly invited to give recitals at major venues and festivals throughout the UK, including frequent Wigmore Hall and South Bank appearances, and performances at the Edinburgh, Cheltenham and Aldeburgh International Festivals and BBC Proms. 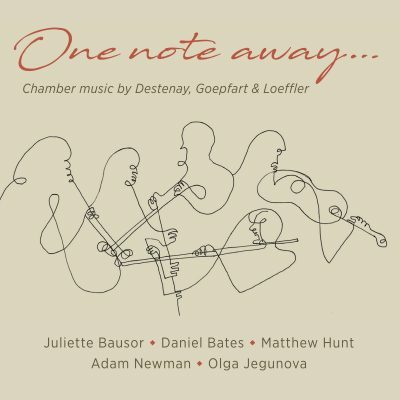 Juliette has collaborated with many other leading chamber musicians, including Thomas Zehetmair (violin), Alasdair Beatson and Llyr Williams (piano), Kate Royal (soprano), Anneleen Lenaerts and Catrin Finch (harp), as well as the Coull, Elias, Badke, Carducci and Edinburgh String Quartets amongst others. Recent chamber recital highlights include a concert with the wind principals of Royal Northern Sinfonia and Christian Blackshaw (piano) as part of the BBC Proms 2015, as well as performances at the Presteigne Festival, with Sally Pryce (harp), and at the West Cork Chamber Music Festival alongside Katharine Dain (soprano), Lise Berthaud (viola) and Cliona Doris (harp). Juliette is principal flute with both Royal Northern Sinfonia and London Mozart Players, and frequently appears as guest principal flute with orchestras all over Britain, notably with the London Philharmonic Orchestra, Philharmonia, Royal Philharmonic Orchestra, City of Birmingham Symphony Orchestra, BBC National Orchestra of Wales, Scottish Chamber Orchestra, London Sinfonietta and Britten Sinfonia.